BEAUTY EMPTIES. A FEW TOO MANY HAIR PRODUCTS. | Life Looks Perfect. BEAUTY EMPTIES. A FEW TOO MANY HAIR PRODUCTS. It's definitely in the title - too many hair products :o) I'm not too sure why but I have just been flying through conditioners at the moment. I found a whole stash of half full bottles at the back of one of my many beauty supply boxes, so thought I would give them a whirl and try to use them all up. We hate wasting any products over on Life Looks Perfect. 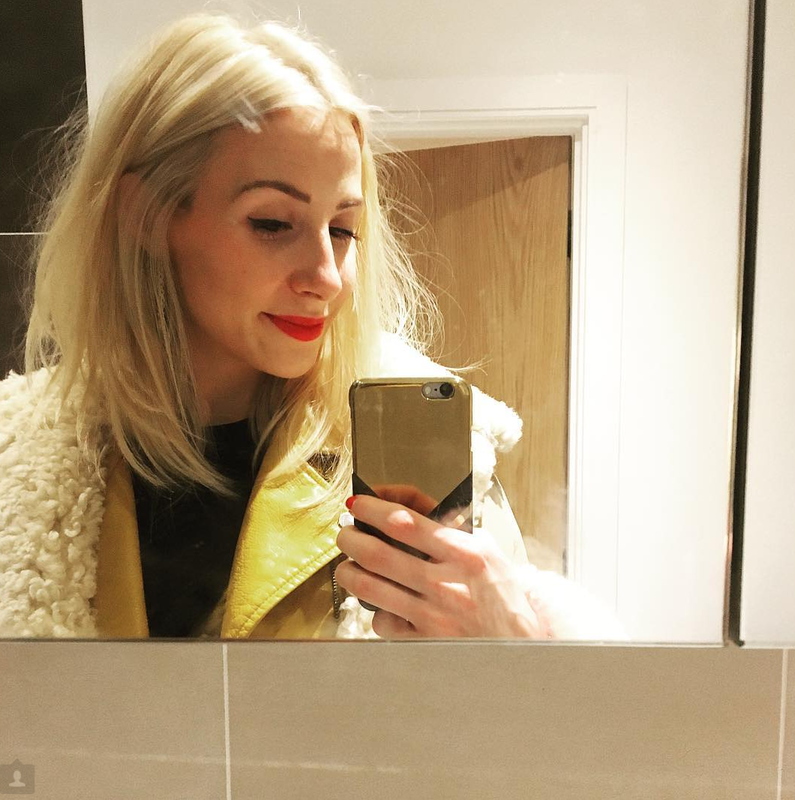 Whilst having super blonde bleached hair, I have always been quite conscious of the colour turning too yellow, which it can especially if I have been swimming! I have to say the beautiful blonde range (far left) by Trevor Sorbie (both the shampoo and conditioner) are amazing for toning down my highlighter head :o)! The two products have a violet base which helps to neutralise brassy / yellow tones, allowing your hair colour to look subtle and natural. Well as natural as bleached hair can be! The product itself is very creamy and moisturises your hair instantly. No dry ends here ladies and gents! If you don't fancy using the Trevor Sorbie shampoo and conditioner, the range also includes a great intensive treatment which strengthens, protects and enhances the colour of your hair. It can be found here Trevor Sorbie intensive treatment - £5.10. 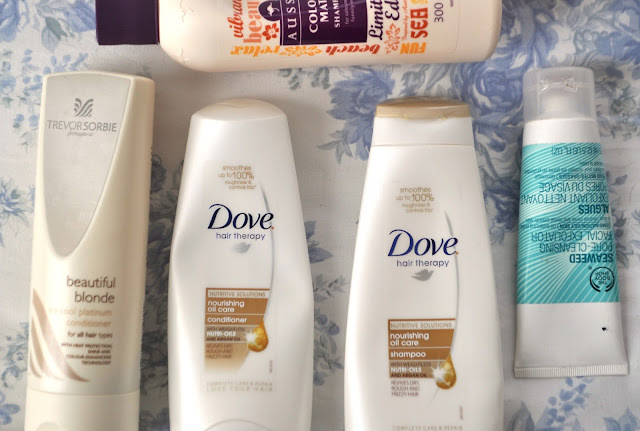 I absolutely love love love the Dove hair therapy range and I am very sad to see it go too. Check our joint review HERE. Dove Hair Therapy Shampoo & Conditioner, Aussie Colour Treatment conditioner, Trevor Sorbie Shampoo & Conditioner & The Body Shop Pore-Cleansing Facial Exfoliator.